DAVID LE/Staff photo. 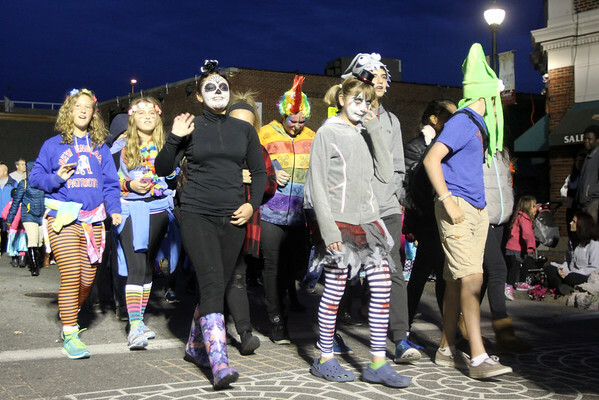 Students from the Saltonstall Elementary School in Salem parade down Derby Street in Salem as part of the Haunted Happenings Parade on Thursday evening. 10/1/15.